Probably made around 1930. It was named by Angela Hallem. 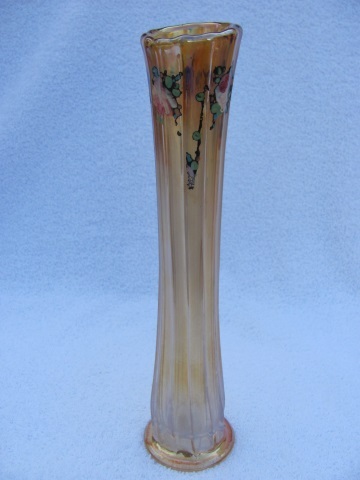 This vase has 12 flutes and base sizes vary between 2 1/4 and 2 1/2 inches. Only known in marigold. 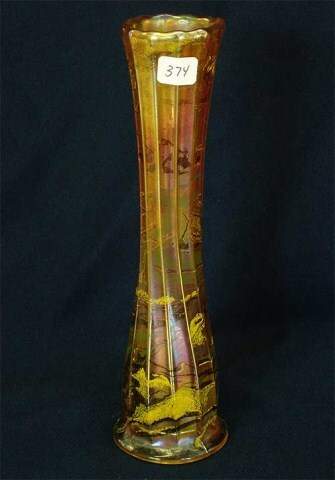 The example shown here is 9 1/4 inches tall and sold on eBay in 2005 for $5. One listed as this pattern sold at live auction in 2013 for $5.